Um die Security Policy etwas zu lockern kann man die Einstellungen wie auf dem Bild verwenden. 1. 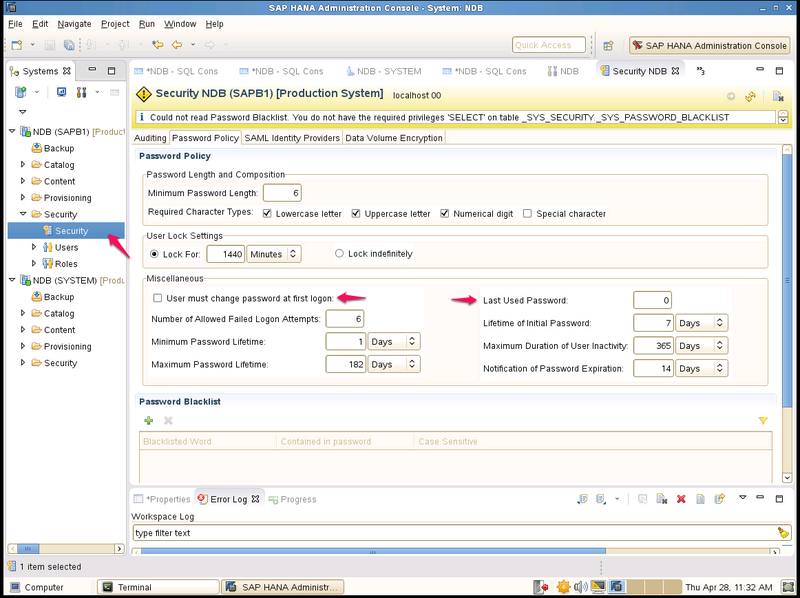 Log on to the SAP HANA host as a user with root authorization. 2. 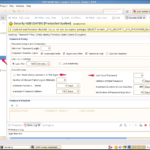 Change to the system profile directory /usr/sap/<SID>/SYS/profile. 3. Edit the profile <SID>_HDB<instance number>_<host name>. 4. Change the parameter setting Autostart = 0 to Autostart = 1 . 5. Save the profile <SID>_HDB<instance number>_<host name>. Starte die Hana Services neu.